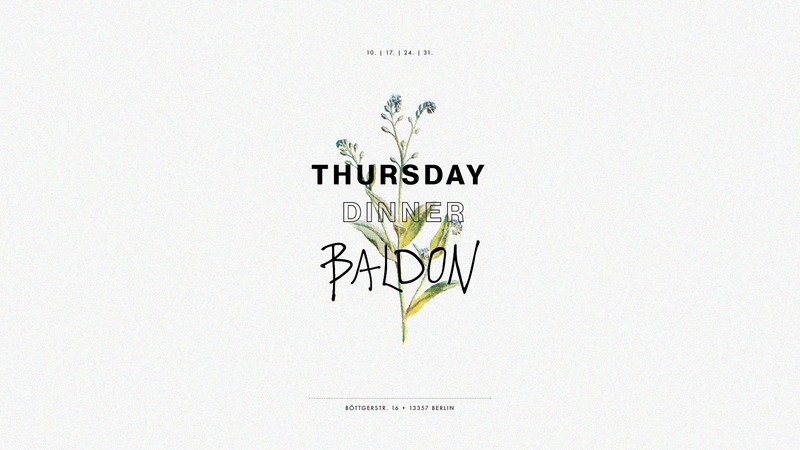 Come by Baldon for a new permanent evening service and a weekly changing menu that’s dictated by the seasons. We’re working with local farmers, fishermen, hunters and Winzers. As we usually don’t want to keep it strictly local our menu is always paired with spices, herbs and wines from all over the world.